Allergies do not only disturb your life but your immune system as well. And therefore it’s highly recommended to have proper tests and treatment before it makes some irreversible damage. With the development of modern and luxury lifestyle in last few decades, there has been a rapid increase of air and water pollution and an unfortunate decrease in people’s immune power. This has resulted in the increase of allergies as a common cause of illness. There is no noted pattern or timing in which allergies develop. You can have one at any stage in your life, with any material or food, no matter for how long have you been using/consuming it. If you are choosy when it comes to food, you are saving yourself from many allergies. But if you eat anything like crazy, you need to be careful. 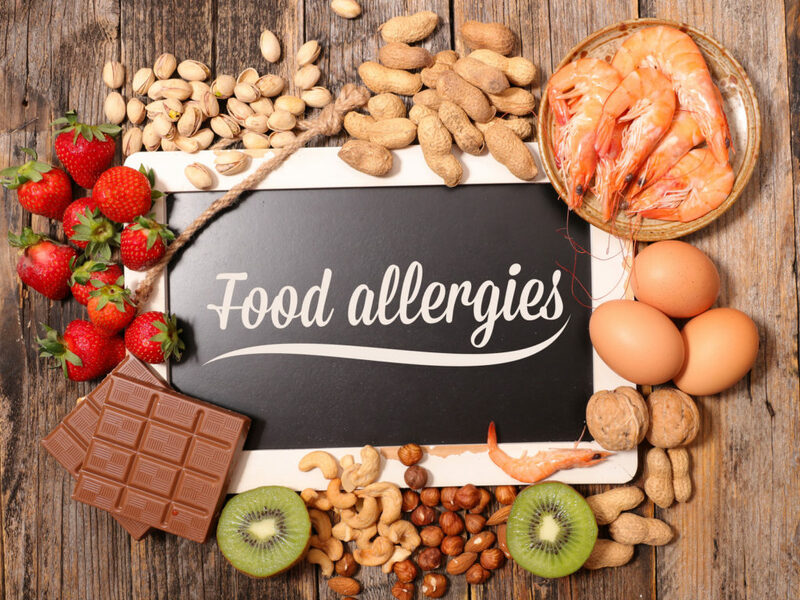 Most of the food allergies are caused by a specific group of foods and includes milk, wheat, fish, egg, peanuts and tree nuts. It’s also interesting to know that children are more prone to food allergies than the adults. Statistics also show that female have more food allergies compared to male. About 10% people and about 20% of hospitalized patients worldwide have allergies to medicines. But it is noted that only about 0.03% cases have serious allergic reactions. However, you should be careful, stay away from self-medication and share all the information related to the allergies you have with your doctor while going for a treatment. This is one of the most common causes of allergy and triggered by dust mites, pollen, mold, pet hair, fur, and feathers. 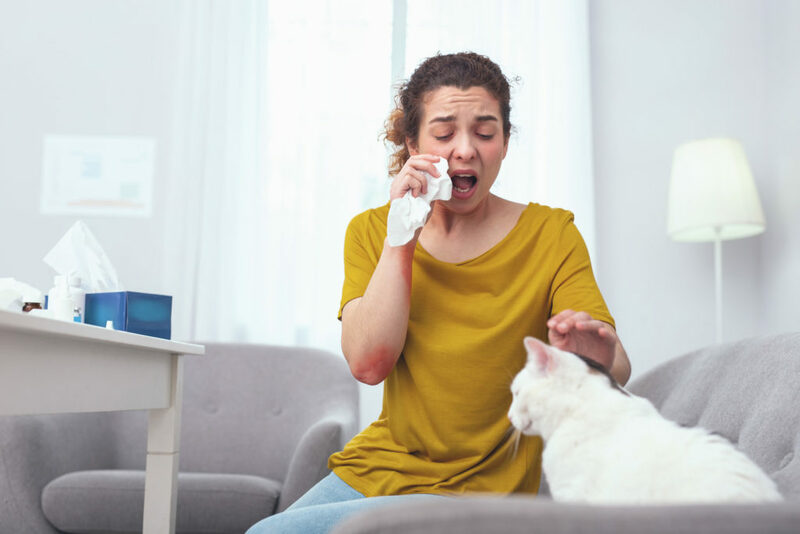 The instant reaction to dust allergy is sneezing and runny nose, redness and itchiness of the eyes with tears, chest congestion and shortness of breath etc. Pets are cute and lovable, makes you happy and helps relieve stress. But they can also be the reason behind your runny nose, sneezing, coughing, red and itchy eyes, skin rashes and hives, and other symptoms. An allergic reaction is nothing but an attempt by our body to defend against the entry of an allergen or a substance into our body. This is because our immune system interprets it as an attack. Why it causes irritation or discomfort is because our immune system overreacts and produces histamine to cope with the allergen. In efforts to protect us from such substance or allergen, our body puts our skin and mucous membranes on high alert and they start releasing a sticky fluid as a barrier. How it Harms our Immune System? Frequent allergic reactions can cause long-term infections in sinus, throat, and ear and weaken your immune system, making it less effective in clearing the germs from the body. This makes you further open to viruses of cold and flu floating in the environment. In addition to this, frequent allergy attacks can leave you restless and keep you from getting a good and enough sleep. This will further weaken your immune system and make your body an easy target for the germs and viruses. The allergic reaction from our immune system, if it becomes out of control, can result in harmfulness to itself. It starts reacting when it should not, and sometimes in an acute manner. It is called chronic allergy that requires medical attention and sometimes emergency treatment. The longer medications as a treatment for allergies may cause harm to the immune system by suppressing and weakening it. When you take an antibiotic for a long-term, your body becomes dependent on it or stops responding it. It may also create other side effects further harming your body and decreasing your immune power. Eye drops and over-the-counter medicines. Remove allergy-causing food from your diet. Keep your bed, desk, and clothes clean and maintain hygiene. Wear full sleeve clothes, eyeglasses and mask when you go out. Ensure cleanliness and hygiene of your pets. Have allergy tests and avoid allergy-causing medications. Use anti-inflammatory and alkaline foods in your diet, like lemon, garlic, mint leaves, yogurt, kombucha, kefir, coconut milk, almond butter, green and leafy vegetables. Take a cold bath or use ice cubes for quick relief in itchiness and swelling unless your allergy is due to the cold. Drink a glass of warm water for instant relief from skin allergy like itchiness. Use olive oil for skin moisturizer as it contains Vitamin E and antioxidants which will heal and renew your skin naturally. Herbs like Basil, Aloe Vera, Neem, and Coriander are very good for skin. These herbs contain anti-inflammatory, anti-fungal and antibacterial elements. They can reduce the redness and rashes, and promotes faster healing of your skin. Use a neti pot to remove congestion and clear sinuses. Mix a teaspoonful of Apple Cider Vinegar (ACV) in a glass of water and drink first in the morning. Use ACV in neti pot for better sinus clearance as soon as the first sign of allergy appears. The below video may not use ACV or any other ingredients necessarily. Allergies occur due to our irregular lifestyle, improper food in our diet, lack of cleanliness and hygiene, and lack of awareness of some materials and chemicals. The information given in this article will give you some insights about what causes allergies and how they occur. The tips on treatment and home remedies given in this article will help you avoid and treat allergies effectively. Have a healthy and happy life!